When you first start trying to earn extra income even $100 per week can sound like it’s a lot. It definitely felt that way for me in the beginning! But really, $100 per week isn’t a lot. Once you figure out what type of work you’re going to do you can generally earn that extra $100 in 2-10 hours. If you find a gig that averages $50/hour (completely possible) you’ll only have to work 2 hours per week for that $100. If you find a job that pays $10 per hour (that’s as low as I recommend going) you’ll only have to work an extra 10 hours per week to reach your goal. Ready for some ideas? Here are 50 ways to earn an extra $100/week. Side hustles are freelance type of jobs that you can easily do in addition to a day job. Side hustles are very flexible and there are TONS of different routes you can take. Here are some good paying side hustles you can try to earn $100 per week or more. If you’re good with numbers and are willing to put in the effort to find clients you can become a work from home bookkeeper. This business allows for flexibility and great pay. It wouldn’t take you much time at all to earn that $100. Here’s a free three part video course on virtual bookkeeping to get you started. 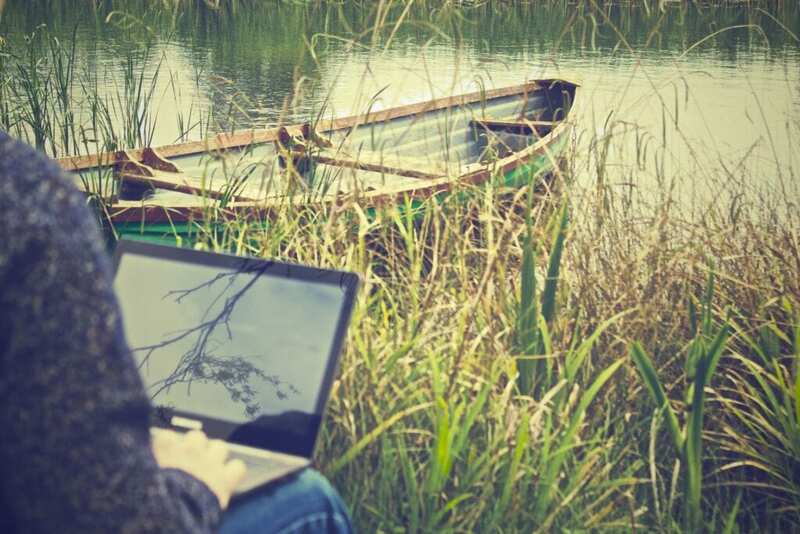 Freelance writing was the very first sustainable way I learned how to earn a living online. And if you’re a good writer I have great news: your skills are in demand! You can earn as much as several hundred dollars per article, making this one of favorite side hustles. Here’s how to get started as a freelance writer if you’re starting from scratch. Being a virtual assistant was the second way I learned how to earn money online. I love the diversity in virtual assistant work. Every day is different so the work doesn’t get boring. When I first started I averaged $17 per hour as a virtual assistant and within two years earned as much as $50 per hour. You can read more about how I became a virtual assistant or you can sign up for a free mini-course on virtual assisting here. Blogging isn’t a quick way to make money (despite what anyone else will try and tell you.) However, it’s possible to make a full time income on part time hours if you’re willing to stick with it. Here’s the top five ways to make money blogging. One of my favorite places to buy home décor, teacher’s gifts, and Christmas gifts is Etsy. I absolutely love shopping there and I know I’m not the only one. Etsy is a great place to sell if you’re a crafter or make downloadable art or other type of printables. Have you ever noticed that when you buy something off Amazon you’ll see “sold by” with a business’ name beside it? This is because Amazon allows sellers of all types to sell merchandise on their platform. One particular program Amazon has is Fulfillment by Amazon, most commonly referred to as FBA. With FBA you can source products (whether that be buying wholesale or buying on clearance) send them to Amazon and Amazon will then ship your products to customers for you. Of course, this comes with a fee but is much more convenient than shipping everything yourself. I tried Amazon FBA and actually had some pretty good success. However, I’m no Amazon expert so I recommend checking out The Selling Family if you’re interested in FBA. Social media managers can manage one company’s social media networks or choose to manage one social network for multiple companies. If you know what you’re doing you can earn $20-$50 per hour as a social media manager. To learn more you can check out five ways to make social media your full-time job here. The great thing about coaching is that it’s flexible. You can work from home and have phone calls with clients and communicate via email to send printables, worksheets, resources and any other tools you plan to utilize. If you are interested in doing some coaching as a side hustle, here’s how to get started. Fiverr is a platform in which anyone can sell a service starting at $5. Some of these services are very weird – like having a man in a dinosaur suit sing you happy birthday, while others are more mainstream. If you have a specific skill (writing, web design, voice overs, etc.) you can sell these on Fiverr. You can also sell eBooks and printables. If you’re interested in Fiverr you can read here how Dion, a web designer, setup a successful Fiverr gig. Unless you’re living under a rock you’ve heard of Uber before. And depending on where you live Uber could be a decent side hustle. To become an Uber driver you’ll need…. You can sign up as an Uber driver here. One of my earlier ideas to earn money online consisted of selling other people’s stuff for a commission. I tried it. It worked, but ultimately I decided it wasn’t for me. If you don’t mind dealing with potential buyers then this could be a great gig for you. What you’ll need to do is find people who have a lot of items to sell but aren’t’ interested in selling themselves. You’ll then agree on lowest prices and a commission for you. (For example you might take 10% of sales.) You will then be responsible for listing the items, dealing with potential buyers, and meeting buyers. Pinterest has been one of the fastest growing social media networks over the past few years. If you’ve hopped on the Pinterest bandwagon then you know first-hand just how addictive it can be. The good news is that it’s totally possible to turn Pinterest into a business by handling Pinterest accounts for bloggers and businesses. In fact this can be a very profitable side business. You’re probably well aware of the fact that you can make money selling your old items on Craigslist. You can also make money finding items on Craigslist, fixing them up, and reselling. Here’s an example of how to make money flipping items off of Craigslist. If you know how to set up simple websites you can offer your service to local businesses who don’t already have a web presence. If you have graphic design skills you can take the website set-up business one step further and offer complete packages for local businesses. Since good graphic designers are in high demand this can be a very lucrative side gig or even full-time business. If you aren’t interested in starting a side business or just want something that’s not focused solely online then why not look into odd jobs around the neighborhood? 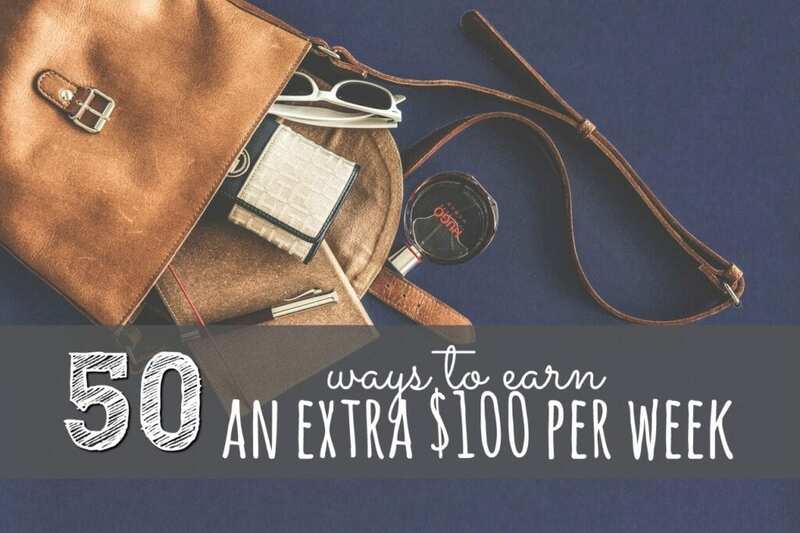 These are all tried and true ways to earn and help you reach that $100/week mark in no time! Babysitting is as tried and true as it gets. As long as people keep having children they’ll need babysitters. Depending on where you live you can earn anywhere from $20-$200 per day babysitting. If you want to speed things up you can consider hosting a “parent’s night out.” This is where you open up your home to a few kids on a weekend night and provide fun for the little ones while the parents go out. These usually last 4-5 hours and you should be able to charge $30 per child. Not everyone enjoys painting, has time for it, or even wants to do it – but most people do like having their homes painted! If you’re a good painter this is one service you should be able to find plenty of clients for. If you’re handy and have decent referrals you can make $100 per week doing odd jobs around people’s houses. To get your name out there have friends and family spread the word and also announce your services on Facebook. Pet sitting was something I never thought would be too terribly profitable until fellow blogger Crystal started building up a pet sitting business. You can read here how she earned $30,000 her first year pet sitting. A brand ambassador is someone who represents a brand in a positive light by interacting with consumers to tell them about products and service. Most of the time, brand ambassadors provide samples of products or host live giveaways to spark interest in the brand they are representing. You can earn up to $20/hour as a brand ambassador. Here’s where to sign up. If you have the equipment and don’t mind mowing you can earn $100 per week mowing two medium sized yards. Shoveling snow is not just for kids. In fact, at my old neighborhood there was a husband and wife team who made a pretty good side income shoveling snow in the winter. If you live in a snowy climate this is a job you should give a chance. There’s a common thread in a lot of these “odd jobs.” There are many things, though not terribly difficult, that people don’t want to do simply because they don’t like doing them. Cleaning is one of these. If you’re a good cleaner and enjoy it you should be able to earn $100 per week cleaning two houses. 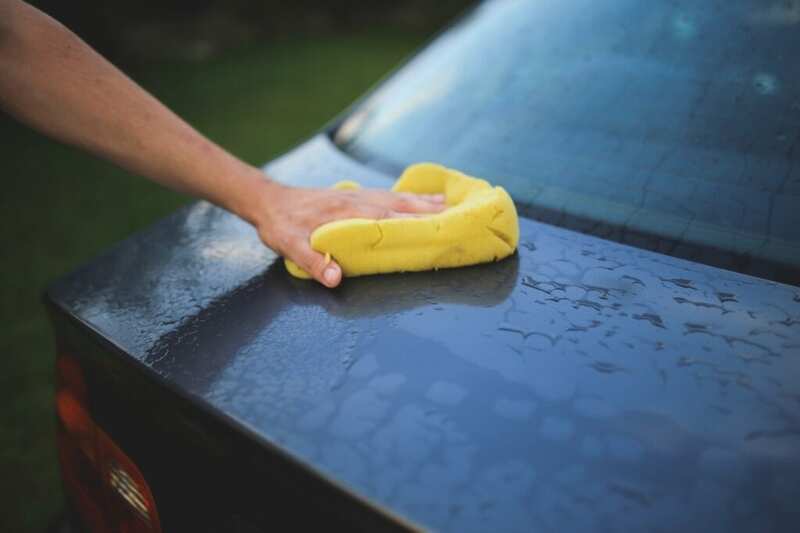 According to Pay Scale the average car detailer earns around $11.00 per hour. However, that’s working for an employer. If you were to detail cars yourself you could reasonably expect to earn $15+ per hour. Have an extra room in your house? Depending on where you live you could earn $100 per week or more by simply renting out a spare bedroom. If you like the idea of work from home but don’t want to start your own business or find your own clients these online jobs are for you! Data entry is a term for a wide variety of online work. This can include inputting information into spreadsheets, typing up documents and even transcription. There’s normally a low-barrier to entry when it comes to data entry so you shouldn’t expect to earn more than $7-$10 per hour. Here are five companies that hire for data entry. While you can start a successful virtual assistant business all on your own (and earn a much higher hourly rate) you can also get hired to perform basic virtual assistant tasks. Here are seven companies that hire virtual assistants. Work from home customer service includes taking phone calls, answering emails and in some instances, online chat jobs. You’ll typically need a quiet area and a headset to qualify for these jobs. Here’s where to find work from home customer service jobs. Freelance researchers mainly answer questions that others don’t have the time to find themselves. This job can be very diverse and the pay is all over the place. Here’s how to get paid for freelance research. Search engine evaluators are given search terms and instructed on what to look for in the results. This position involves evaluating relevancy of searches for major search engines. While this type of work isn’t always consistent it pays fairly well at around $12-$15 per hour. Here’s how to become a search engine evaluator with Leap Force. Social media evaluators are given instructions to search for certain hashtags, search terms, videos, ads and more for large social networks. They are then to evaluate relevancy and report back. Transcriptionists transcribe written or audio documents. As a transcriptionist there are several different niches you can break into. Here’s where to find transcription jobs for beginners. Tutoring isn’t done in the same way it used to be. In fact, there’s now a huge demand for online tutors. Online tutoring allows for flexibility for both the student and the teacher. Here are six places that hire online tutors. Writing resumes is a writing niche all of its own. If you pay attention to detail and enjoy writing this could be a good fit for you. Here’s where you can get hired to write resumes. I’m sure you heard of the popular clothing company Stitch Fix but did you know they hire work from home stylists? If you’re into fashion here’s how to get a work from home stylist job with Stitch Fix. While earning money actively through a side hustle is a great way to increase your income you can put that money to work for you with passive income. 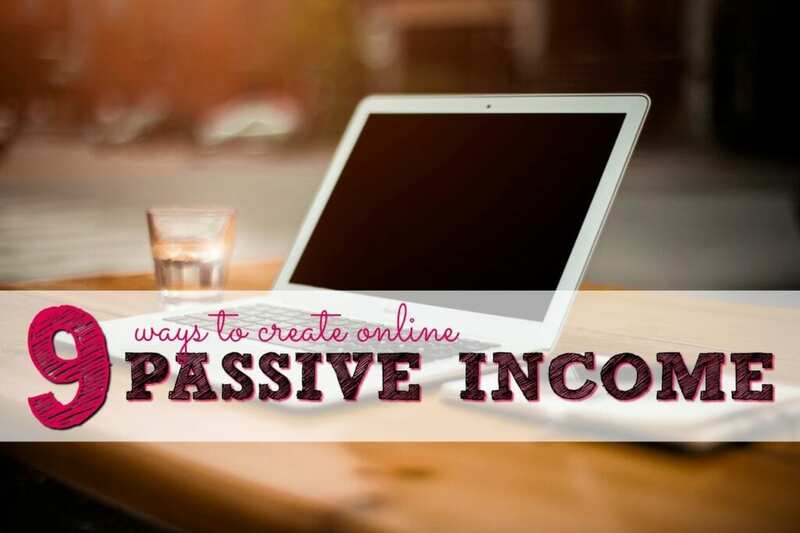 Passive income is money you earn without having to trade your time for dollars. You can read about how to get started with each of those here. 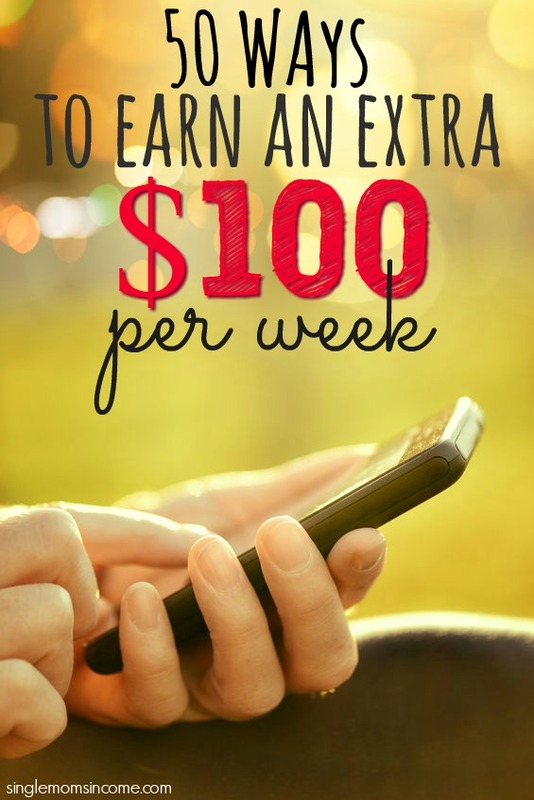 I hope you’ve come up with at least a few ways to earn that extra $100 per week. You can make those earnings go even further with minimal effort through these supplemental ways to earn. 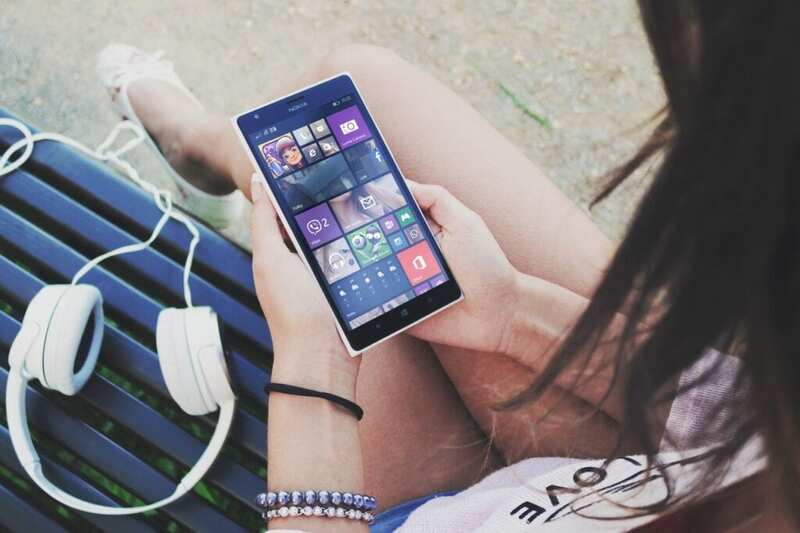 It’s no secret that taking surveys won’t replace your day job. However, taking surveys can be a fun way to earn extra cash, free products, and gift cards. Here’s where you can find legit survey sites, focus panels and more to sign up with. National Consumer Panel, owned by the Nielsen Group, is a program in which you can earn rewards for scanning your groceries each week. You just sign up, download the app, and then scan your purchases. You can sign up for NCP here. Rewards sites are my favorite little extra income earners. I’ve been using both Swagbucks and InboxDollars for years and regularly earn at least $20 per month through each of them with very minimal effort. I normally save mine up and use them for Christmas shopping each year. To get started sign up for Swagbucks here. You can sign up for InboxDollars here and get a free $5 credited to your account. 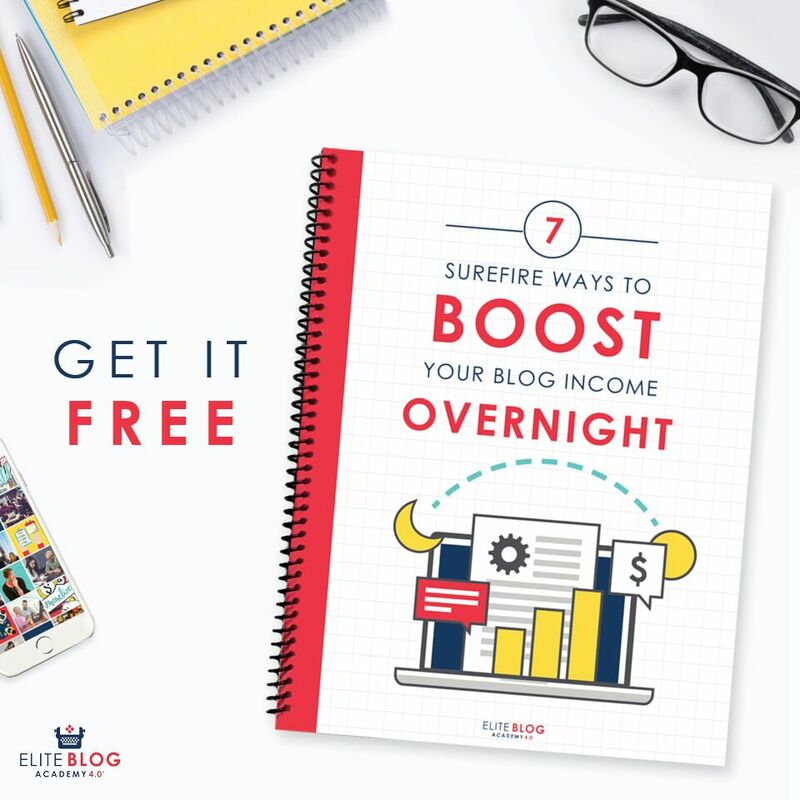 While you can’t really can’t on consistent income from testing the usability of websites you can earn a pretty good amount in a short period of time. In fact you’ll normally earn around $15 for a 20 minute test. Here are places that will pay you to test websites. Mystery shopping is a fun way to earn a little extra cash, free dinners and free products. Some places will even let you mystery shop over the phone. Here are six mystery shopping companies that all have an A or higher rating from the BBB. 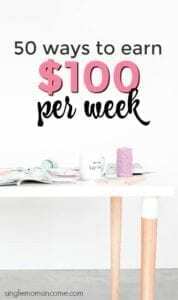 There are so many ways to go about earning an extra $100 per week that the hardest part might be figuring out what you want to do! What are some of the first things you tried to earn an extra $100 per week? REally interesting list, thnaks for sharing! Freelance writing is actually a great option. You have to pick your favorite niche if you wish to go full-time! I’ve been doing it for the past 10 years and it helped me discover more time. Yes, I need to track all industry updates to keep me on top, but it gets easier once you know the tricks of a trade. What more, you may even create your own blog and develop it. A blog really pays back when it starts showing up in the user searches. Freelance writing was how I broke into working from home. It’s definitely a great option for anyone with decent writing skills! These are some great ideas! I’ve earned money through teaching writing classes and selling corresponding curriculum that I published. Currently, I’m taking a course to become a master certified health coach so that will be my new gig. Also, wanted to let you know that your Pinterest VA link is not correct. It’s linking to something else. Freelance writing opens up a number of opportunities for a candidate possessing the right skill sets. Being in a creative field, you should be able to achieve a handsome amount for every write-up that gets published. It will also help in developing your online reputation as a writer. Not really helpful I cant even afford wifi so I wouldn’t be able to do half these jobs anyway. And I can’t afford a fee I literally have no money.